While testing the new sketching app Paper, I couldn’t decide whether I loved or hated it. Paper has the potential to be brilliant, but in its present form has too many flaws for it to earn a place in my iPad’s dock. 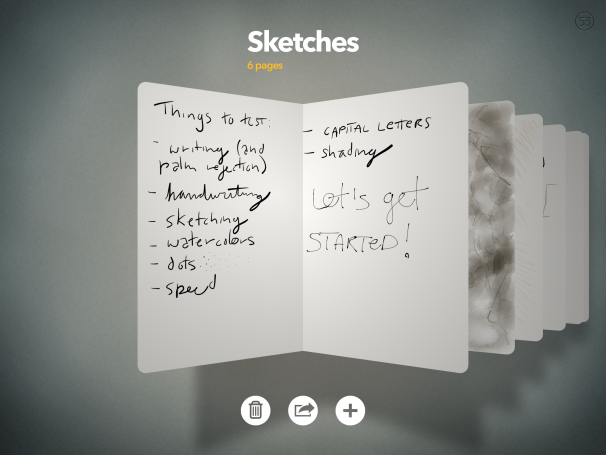 Like many “sketchbook” programs for iOS before it, Paper provides a series of notebooks which you can customize and sketch in to your liking. 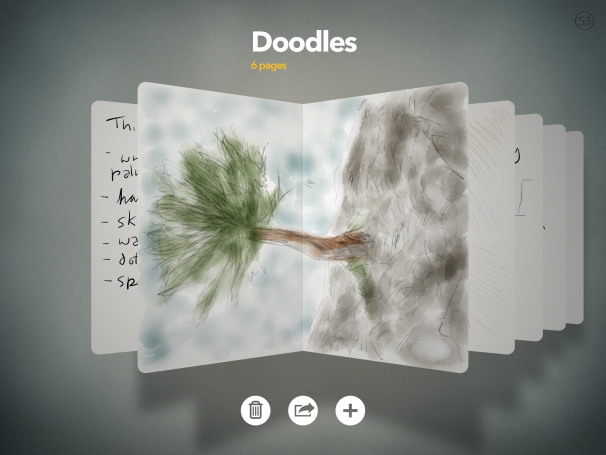 The app does the notebook interface better than any of the others I've tried; it allows you to customize the cover with an image or photo from your library, skim through completed notebooks, and enter drawings, add pages, or share them with just a tap. 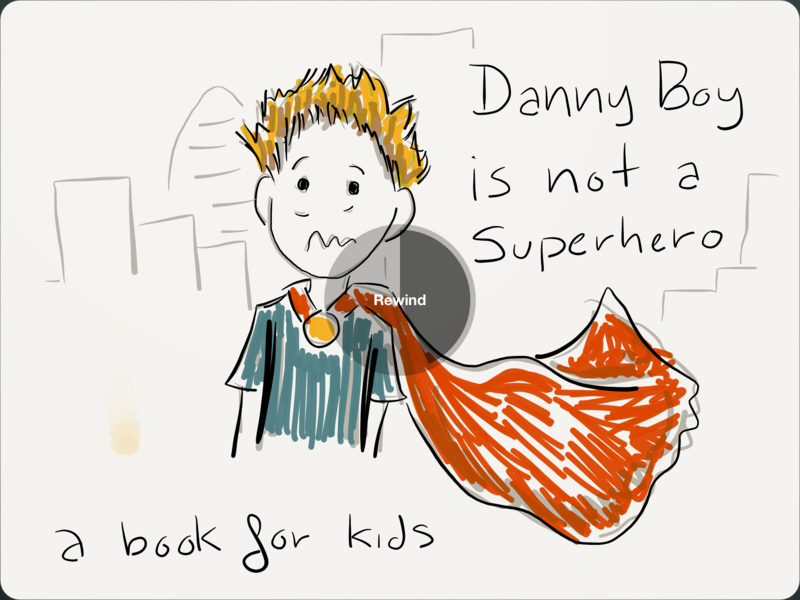 Writing is about on par with other sketchbook apps--not the best implementation I've ever seen, but not terrible. It's great skimming through virtual sketchbooks like this: It’s all the fun of browsing through someone's Moleskine, but with swiping instead of page-turning. And the graphics are top-notch; on a third-generation iPad, slowly turning a page is almost as fun as doing the drawing itself. The free version of Paper offers a nib pen for sketching, an eraser, and a smattering of colors with which to illustrate your drawing. The pen is fairly robust for a simple sketching tool, and if you’re just planning to do some writing and line drawings, it could suit you just fine. You can add up to four additional tools (a pencil, marker, ballpoint pen, and watercolor paintbrush) for $2 each, or buy the full set for $8. I purchased the entire toolset to experiment with, but the two you absolutely have to add to your arsenal are the pencil and the watercolor brush. Paper’s pencil tool may be my favorite part of the app; it’s the best implementation of a pencil and real sketching on a tablet I’ve seen, even without pressure sensitivity. This is in part due to the way you use a pencil versus other tools: You naturally make quick, thin lines, and the app is fine-tuned for that sort of use. The pencil tool is great for loose sketching and color. The watercolor brush is less precise, but its effects are lovely: The color blending reacts in such a way that I often felt like I was mixing real watercolors. Where it fails, however, is in its speed formula. It’s almost impossible to paint a large swath of canvas without leaving much lighter spots or creating large blotches in the middle. Also, its brush, which is about the size of a finger, feels too big and clunky for most drawings; unlike the finer-tipped pencil and fountain pen, there’s no way to color anything of detail and not have it look sloppy. You might be able to solve this by zooming in on the canvas, but unfortunately Paper can't currently do that. (A posting on the company’s support forum indicates that that feature may be coming in a future update.) Without zoom—and unless you’re gifted with a stylus or a finger—there’s no way to create really detailed drawings. You can't draw in portrait mode without the result being split across two pages in notebook view. If you experiment with Paper, you'll probably wonder whether you need a stylus. I personally preferred using one instead of my finger, though I found that I had a difficult time using most non-nib styluses (Adonit’s Jot Pro, Ten One’s Pogo Sketch Pro). 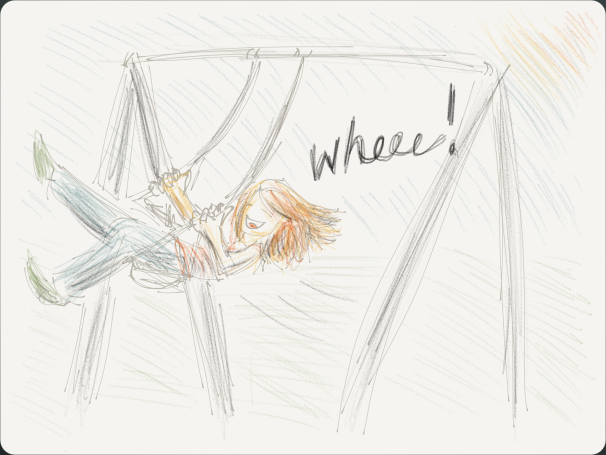 One exception was the Nomad Compose; the slanted brush worked best for me when sketching or using the watercolor tool. Brushes and pretty books are nice, but the Paper feature that really caught my eye was Rewind, which uses a video shuttle metaphor for an undo gesture: By placing two fingers on the screen and turning to the left or right, you can undo/redo up to 20 lines. Drag two fingers in a clockwise or counter-clockwise motion to Rewind. When you're done with a drawing, Paper offers a few of the most popular options for sharing it—Tumblr, Facebook, Twitter, or email—but it neglects to provide the simplest one: Export to Camera Roll. If you want to do that, you need to snap a screenshot when the sketch is full-sized. Paper's flaws are especially frustrating, because the app is otherwise so promising. There are parts of it I absolutely love. 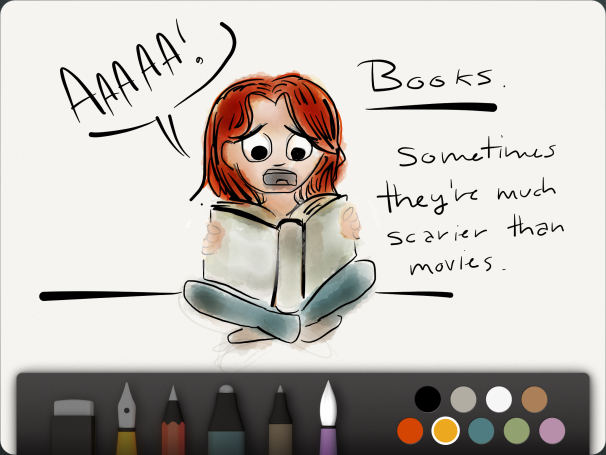 But until Paper gets a serious upgrade, I can’t see it becoming my go-to sketching app. Updated at 4:30 p.m. PDT to clarify the Rewind gesture.